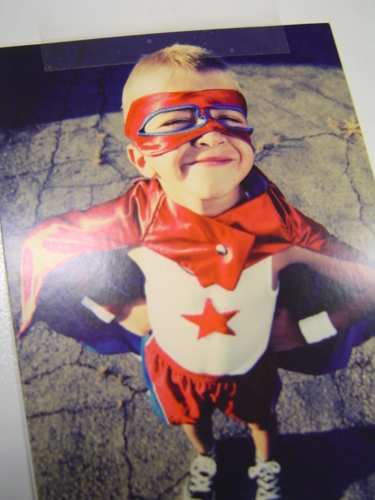 Superpower: my spontaneous squirts of laughter gun – be warned! Role at JPF: Program Coordinator, Arts & Culture Dept. About me: I like art & design, especially DIY craft items with a feminine touch. I’m a bit of a facebook junkie and spend way too much time on it than I really should. What first captured my attention to Japan was the food, or more specifically, the delicious range of yummy snacks you have to offer. Trying to work out which flavours are what had me learning hiragana and katakana in no time. You can imagine the satisfying feeling when you can finally identify that this flavour is... Muscat... mmmm...うれしい! And the love gradually snowballed into an appreciation for other things like the country, the culture, the fashion and art... there’s still so much more to learn and discover! Leaving you now with this postcard I currently have on my wall - stylish kid eh? !